I have been an advocate of fermented veggies for a long time, but recently I have come to realize that they are very, very important indeed for your overall health! For a long time I have repeated over and over “Add in Kefir or Greek Yogurt with active cultures into your daily Paleo Smoothie!” And this is, and was wonderful advice indeed. Hi! I'm your gut buddy!! This is the fermented microbe, or “gut buddy” that lives in us all, and does really good things for us, health-wise! Perhaps most importantly, this particular, plant-based microbe protects and heals our almost always damaged intestinal linings. This means things like Chrone’s disease, irritable bowel syndrome, diverticulitis, anything in the gut- Lactobacillus Plantarum is what we need- it is the answer to our problem! AND PLANT based gut buddies!! Lactobacillus Plantarum, OR L.plantarum 299v! I have long advocated that you use Kefir, or Greek yogurt to promote the Dairy based microbes of health- but NOW I know that you need BOTH varieties: SO, you need Plant based gut buddies, yes indeed you do DAILY! But, not in your Paleo Smoothie. BUT THESE ARE IMPORTANT! OUR ANCESTORS ATE THIS STUFF EVERY SINGLE DAY OF THEIR LIVES (before refrigeration), since fermentation was the only preservation available- and we have adapted to that! We NEED fermented veggies to be truly healthy! Processed foods (once again!) are found... SADLY LACKING! So, where do you get this superfood, this wondrous health producing wonder of the Paleo era?? But if you are just getting started, you might want to just BUY some fermented veggies to get started! I think this is a natural reaction, and I can relate. 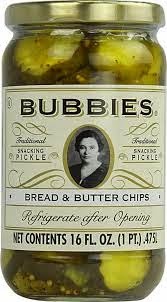 This is the only national manufacturer of fermented vegetables like pickles and sauerkraut that does it right! NOT pasteurized (that would kill all the gut buddies! ), not just packed in vinegar to give a sour taste without any fermentation at all- their stuff is the real deal! Farmer’s Markets often have vendors that make their own fermented veggies for sale- this is also a wonderful option, just like making it yourself. But, if not available- do NOT but the mass manufactured pickles and sauerkraut and other FAKE fermented vegetables- THEY ARE NOT FERMENTED, REALLY, AT ALL!! Back in the latter days of Rome, those with her original values moved “back to the land”... FAR from Rome- out to Spain, and France, and even Britain! They decided to provide for themselves, as much as they could, since the Empire itself was rotten and decaying. But a Vitamix! Best way to eat real foods in the modern world! AND, if you use my link for free shipping on www.paleojay.com you are helping to support the show, and also helping to support your own healthy life, and that of your family!